Increasingly, across the world, water shortages are becoming an issue. So, it makes sense to think about this before buying trees and shrubs for your garden. Fortunately, there are plenty to choose from. Firms like The Tree Center are very much aware of the need to provide high-quality drought-resistant plants to their customers. There are dozens of different varieties to choose from, but here are some of our favourites. 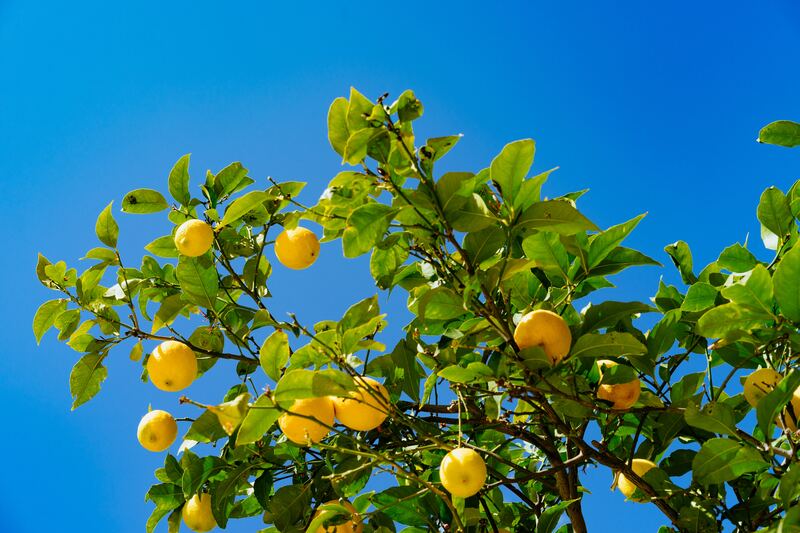 Most citrus trees do very well without much water, even in near desert conditions. In parts of Spain, oranges are still grown commercially in zones that are officially categorised as semi-desert. Lemon trees are an especially good option because they continually produce fruit. They are also a bit hardier than orange, Satsuma and grapefruit trees. Maples are stunning looking trees. They come in a range of colours, shapes, and sizes. The variety that produces delicious maple syrup is particularly nice. In the autumn/fall, the foliage goes through several colour changes including yellow, gold, orange and red. There are many varieties of juniper that do very well in dry conditions. One of the nicest is the Blue Rug Juniper. It is very richly coloured and stays green year round. If you need grown cover, this plant is a wonderful option. If you are looking for a large statement tree an American elm is a great option. As the name suggests, this tree is a native of North America, but, it is now possible to buy them in other countries. They make excellent shade trees. A lot of people like to plant trees and shrubs that help wildlife. Hawthorns certainly tick that box. The colourful berries are a lifeline for wild birds because they are there during the winter months. These plants are really hardy, so can grow in virtually any garden. If you are looking for a shade tree, a honey locust is ideal. It grows to about 45 feet, but importantly the canopy can easily reach 35ft across. The shade that this tree produces is dappled, so, grass and other plants can easily grow underneath. Just be sure to buy the thornless variety. In the wild the thorns of this tree are fierce. Sumac shrubs can grow to around 6ft tall and wide. They are a great way to fill up space. If you buy something like the Rhus Tiger Eyes variety you can enjoy four different colours of foliage during a single year. So, there you have it seven lovely trees and shrubs that can cope with going without water for fairly long periods of time. The above plants are a good option for most, but not all gardens. For example, some of them would not grow well here in Australia. So, before you buy, find out a little more about the plant. You need to work out whether you have the right soil type and check local rules and regulations. Some plants, trees, and shrubs cannot be planted in certain locations.